Quite often students are faced with a problem in their school days: “How to write a critical lens essay”? This article is aimed at helping those students who want to know what exactly a critical lens essay is and how it should be written. A critical lens essay is an essay that is mostly used in some U.S. schools, especially those that are affiliated with the New York State Regents Exam. In the critical lens essay you are given a quote and have to decide whether you agree with it or not by writing an essay. In writing the essay, you explore the quote as well as the books, novels or sources from which the quote has been derived and make your own critical analysis and interpretation of things and finally come to a conclusion. The aim of the critical lens essay is to measure the student’s ability of his or her reading, writing and critical thinking skills. One thing that must be always present in the critical lens essay is that the student should be able to make his or her own viewpoint on the subject, matter or topic, which has been written by him or her in the essay. In writing a critical lens essay you must respond to the point of view conveyed by the quote and after that, you should try to explain the same in your own words. Any critical lens essay includes the following three steps: interpretation, analysis and explanation, which in turn test your ability to think, plan and write the essay in a cohesive manner using common literary terms. Before writing the actual critical lens essay, you should try to identify all the literary elements that are in a source book, novel, story, etc. Some typical literary elements are: tone, theme, characterization, language of numbers, symbolism, point of view, irony, plot, flashback, foreshadowing, etc. Every critical lens essay should consist of the following parts: introduction, body paragraphs and a conclusion. In making the essay, the student should use at least two different pieces of literature and describe all the literary terms . 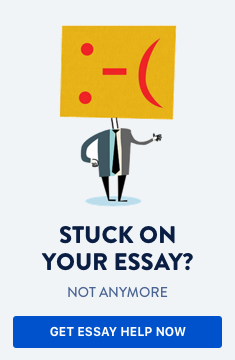 The following steps will guide you in writing a critical lens essay. Once you have copied the actual quote word for word, you need to rewrite the quote in your own words. Here, the interpretation part is involved – what exactly does the quote mean to you? You should not write in the first person like “I”, “me”, “we”, “you”, but use the third person instead like “they”, “those”, etc. You should try to write your own interpretation of the quote entirely in your own words. This will become your thesis statement, which you will later prove to be true from the two literary works that had been assigned to you or selected by you. Now, once you have written the introduction, you should start with the body paragraph, which should contain the title or source, the author’s name and other details about the first source. Here you should restate your interpretation of the quotes and also the literary terms used in the sources. Repeat the above steps for the second literary source and use the literary terms to support your position similar to the first paragraph. Remember, you need to interpret the quote in light of the two sources that you are using. You can summarize the plot briefly in order to emphasize your stand. You should make your interpretation clear and stand out to make your claim. In the conclusion part you should restate the quote by summarizing the examples cited in the body paragraphs. You should write the name of the author or individual who provided the quote. Here you can highlight some evidence from the sources so that it stimulates the reader into thinking about your idea. Although some of you might never had written a critical lens essay in your entire life, by following the above steps you will definitely find it easier to write such essays when required.